701 Kupulau Dr - MLS from JBR LIFE Photography on Vimeo. Why not! The Island of Maui is truly in a league of it’s own! Ranked the #1 Island in the U.S. for the 23rd consecutive year in a row, according to Conde Nast readers’ poll in 2016. Hawaii's 4 major island made that list with Oahu taking No. 2, Kauai coming in at No. 6 and the Big Island is No. 8. With those statistics, it’s easy to see why so many famous people have houses here and the locals say “Maui no ka oi,” (it’s the best!). For nearly 365 days a year you can rest assure that the gentle winds will be blowing with air and water temperatures consistently in the 70’s-80, the perfect concoction for fun and relaxation . Maui has an endless array of attractions, from the countless stunning beaches on the South Shore in Kihei/Wailea, to the big waves on the North Shore in Paia and Haiku. Our West Side features some of the oldest resorts on the island, and also is known for the quaint whaling town of Lahaina. The famous Road to Hana showcases some of our lush rainforest and you’d be quite surprised at the hidden gems of property out there. Heading Upcountry to Kula and Pukalani looking down on the island the views are just spectacular and temperatures are a bit cooler. Wailea and Makena emit total luxury with island style still at its best. From snorkeling, boating, whale watching, golfing to shopping, there is always something fun to do on Maui. So if you are considering moving to Maui, you now know why it would make a fantastic place to live. Maui really has it all! 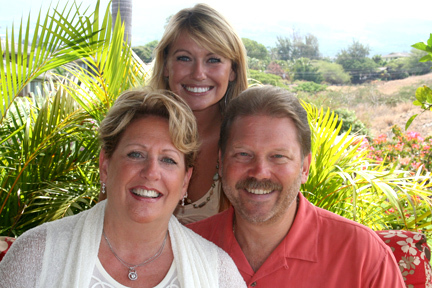 Maui is our home and we are devoted to helping others buy or sell Maui Real Estate. Our love of the Island shows in every detail of our work. We are always working to make sure that our clients are completely satisfied, and have the knowledge they need to make a comfortable decision when buying or selling a property. We have created this website so that searching for luxury Maui real estate or comparing homes can be as easy as it gets. It's no wonder we were voted Best Island! Just like the locals say, No Ka Oi. If you'd like to see a home or property for sale in Wailea, Makena or Kihei email Roger or Amanda today. We specialize in Luxury South Maui Real Estate, Oceanfront & Ocean View real estate, homes for sale in Wailea Pualani, Kialoa, Kai, Fairway Estates, The Highlands, Golf Estates, Golf Vistas, One Palauea Bay, Keauhou at Makena and condos for sale at Polo Beach, Wailea Ekahi, Hoolei, Maui Kamaole, Palms at Wailea, Grand Champions, Kamaole Sands, Wailea Ekolu, Wailea Palms, Hale Kamaole, Wailea Point, Makena Surf, Na Hale O'Makena, Island Surf, Hale Pau Hana, Kihei Surfside, Maui Parkshore, Kihei Akahi, Royal Mauian, Kihei Kai Nani and Ke Alii Ocean Villas just to name a few. If it's in south Maui, we know it well! The moment you arrive in Wailea you can feel the luxury. The tropical smell of the of plumeria, egrets everywhere and lush green golf courses make this area on the South end of the Island a big hit with those seeking out luxurious living. Wailea's prestigious green golf courses and luxury ocean front properties sport some of the best views in the universe. We all know, Hawaii has the best weather on the planet and beaches that consistently rank in the top 10 of the world's best beaches. It's no wonder South Maui is the choice getaway of several celebrities and famous people. If you're considering moving to a tropical island you might enjoy the Wailea condos for sale at Andaz Maui, Ho'olei, The Palms at Wailea, Nu'u Aina Estates, Suites at Wailea, Papali Wailea, Polo Beach Club, Wailea Beach Villas, Wailea Ekahi I, II & III, Wailea Ekolu, Wailea Elua I A, Wailea Elua I B, Wailea Elua II, Wailea Fairway Villas, Wailea Palms, Wailea Point I, Grand Champions, Kai Malu at Wailea & Kanani Wailea. All of these properties emit luxury and deliver world class ocean views. Whether you're a tourist on vacation or a local you will discover that Kihei feels like a family oriented city. Kihei is about 6 miles long with several schools, fantastic parks, a roller skating rink, baseball fields, soccer fields, football, basketball and tennis courts all centrally located oceanfront in the heart of the city! In Kihei, there are endless activities for anyone including a few of Maui's best restaurants, the best beaches on the island and of course ample amounts of sun. At times it can feel like Africa sun. If you're thinking about moving to Maui you might want to consider the Kihei condos for sale at Kamaole Sands, Maui Kamaole, Hokulani Golf Villas, Mana Kai, Hale Kanani, Shores of Maui, Maui Hill, Hale Kamaole, Kihei Akahi, Kamaole Nalu, Haleakala Shores, Ke Alii Ocean Villas, Maui Vista, Royal Mauian, Maui Banyan, Kauhale Makai, Kai Ani Village, Sugar Beach Resort, Maui Sunset, Luana Kai, Villas at Kenolio I & II, Menehune Shores & Kai Makani. Westside! Lahaina can be an exciting or a quiet relaxing place to live with easy access to the airports in Kaanapali or Kahalui. Lahaina has everything you need within walking distance or drive south twenty minutes to visit Kihei and Wailea. On this website we feature Lahaina Homes and Condos for sale at Puamana, Lahaina Shores, Opukea at Lahaina, Outrigger Aina Nalu, Lahaina Roads & Channel House. A luxurious area located on the West side of Maui. Tropical, lush, secluded and very different from the rest of the Island. This side tends to get more rain. There are several luxury condos for sale in Napili including the condominiums at Napili Shores, Napili Point, Napili Point II, Napili Sunset, Napili Lani, Napili Ridge, Napili Villas, Hale Napili, Napilihau Villages I & Napili Bay. Luxury living at it's finest. Ka'anapali sports luxurious living, five star restaurants and features one of the world's best beaches. The options for water sports, fun, food, shopping and living are endless here. You can look at some incredible luxury condos for sale at: Kaanapali Alii, Honua Kai, Whaler I, Whaler II, Kaanapali Shores & Masters. Luxury living awaits. The views are amazing from here and so are the golf courses. In the small town of Kapalua, you can find these condos for sale: Kapalua Bay Villlas I & II, Kapalua Golf Villas, Kapalua Ironwoods, Kapalua Ridge & Coconut Grove. A peaceful place away from the crowds with majestic ocean views of Kahoolawe, Makena and Molokini. Walk along miles of long golden sandy beaches. If you're thinking of moving to Maui, and Maalaea is your destination you might enjoy one of the luxury condos for sale at The Maalaea Surf, Hono Kai Resort, Island Sands, Kanai A Nalu, Makani A Kai, Maalaea Banyans, Milowai Maalaea, Maalaea Mermaid & Maalaea Kai. Makena is a gorgeous community that resides along the ocean and is literally at the end of the road. With gorgeous panoramic views, lush tropical landscaping and beautiful beaches within walking distance, this makes for an incredible place to live and call home. There is a plethora of options for luxury condos that will keep you away from the busy city and close to the natural beauty Maui has to offer. Being surrounded by tropical plants like Elephant Ears, Gardenias, Hibiscus & Birds of Paradise, you will see amazingly bright colors and many different kinds of birds flying around including the Mynah bird, Egrets and even some doves. Here are some of the condos you will find in Makena : Makena Place, Makena Surf, Na Hale O Makena and Polo Beach Club. The hub of this island. Known to many as "OGG" is the perfect place for clothes shopping, food and any ofther kind of shopping you can think of at the Maui Mall, and the Queen Ka'ahumanu Mall. The Kahului airport, one of Maui's two airports is also located here. Maui's other major airport is located in Kaanapali. While there aren't many options as far as condos go, there is condominium living located in Kahului called Harbor Lights and of course, many Kahului homes for sale. The town of Wailuku has a deep history and is home to the famous Iao Valley where several iconic battles have been faught. Historic, beautiful, lush, good surfing yet close to the commerce that is on the Island, Wailuku is popular place to live. 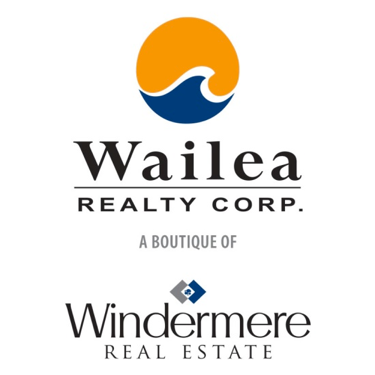 There are many affordable condos for sale in Wailuku including the Iao Parkside, Iao Gardens, Lliahi at Kehalani & Kehalani Gardens. Pronounced "Coola" is absolutely cooler than most of of the Island because of the towns elevation. Kula is the perfect place to raise a family. The upcountry of Maui offers a more secluded living environment, ranches, farms, upcountry living and breath taking ocean views that are hard to beat. If you're thinking about moving to Kula you might be interested in condos for sale in Pukalani Gardens Upcountry & Cottages at Kulamalu. A tiny town on the Northshore of the Island with dozens of retail shops, some of the best surfing in Maui, Buddhist temples, beach front public parks and a few of Maui's best restaurants. While Paia is a special place surrounded by greenery, some say the town has a more "local feel" to it and is less touristy compared to the resort areas on the Westside of the Island or South Maui. While the town doesn't have as many tourist visiting as Kaanapali, or Wailea, that doesn't mean it's not an exciting place to visit. The sidewalks are bustling with people here 7 days a week and you never know, you could bump into someone famous like Cameron Diaz, Britney Spears, Woody Harrelson, Willy Nelson, Kris Kristofferson or Owen Wilson. If you're thinking about moving to Paia you might enjoy browsing houses for sale or condos for sale here on this website. You can search by area, condo number, price range or try our convenient map search to find Paia Real Estate MLS Listings or Paia condos for sale at Sugar Cove & Kuau Plaza. 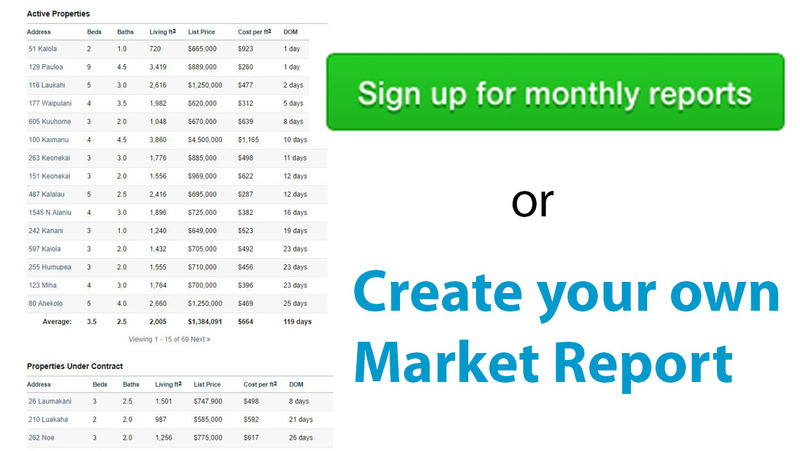 If you're moving to Maui, or considering real estate: click here to start your search.